Our goal is to help support the balance and preservation of wildlife through education. 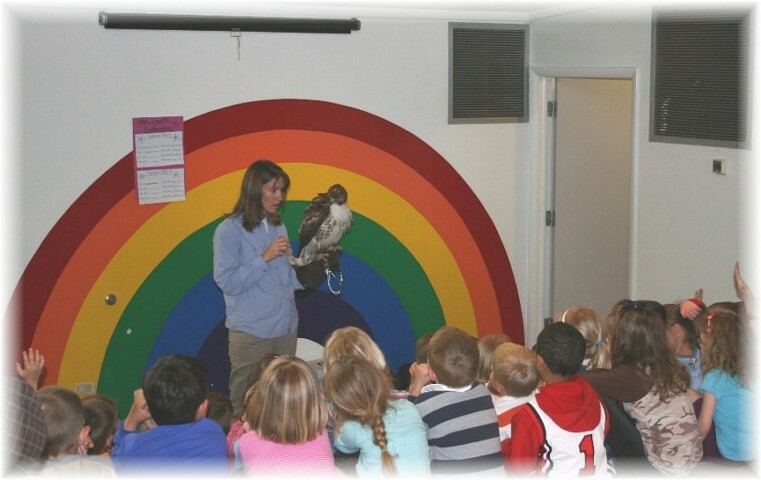 Wild Wings is continually working to develop new and exciting programs that bring an integral part of Colorado’s wildlife right into the classroom. This four minute video highlights portions of Wild Wing’s “Raptors of the Rockies” program. This was an informal event gathering for an evening presentation at Carson Nature Center in Littleton, Colorado. Book a program with Wild Wings! 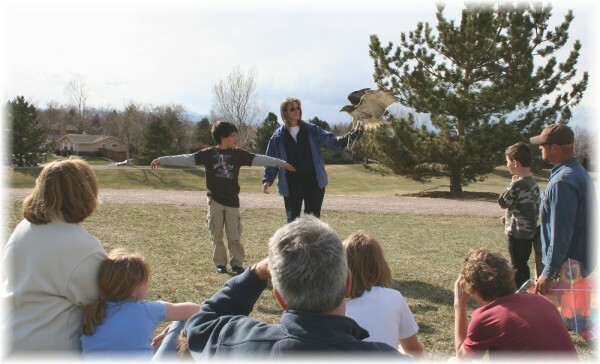 Wild Wings Programs meet Colorado State Standards and are taught by Certified Interpretive Guide (GIG Instructors. (such as curriculum needs of various age groups). This program presents an overview of winged animals with emphasis on raptors, ravens, crows, and bats. Students are encouraged to participate in activities that demonstrate such things as the anatomy of the bat, the intelligence of ravens, and the tools raptors use in hunting. In addition, Wild Wings brings live animals (a hawk, an owl, and a peregrine falcon) and other visual aids to stress the importance of winged wildlife in our lives. We focus on the special/unique roles these animals play in the environment such as pollinators, seed dispersers, pest controllers, and clean-up crew. At the end of the program, students are given the opportunity to ask questions to reinforce what they have learned and to help understand more about these amazing winged animals. 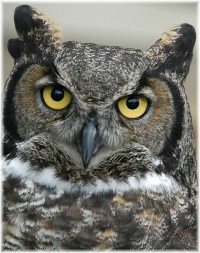 This is a unique program that introduces the age-old practice of humans and birds of prey working together. Many people don’t realize that the sport of falconry is an ancient art. 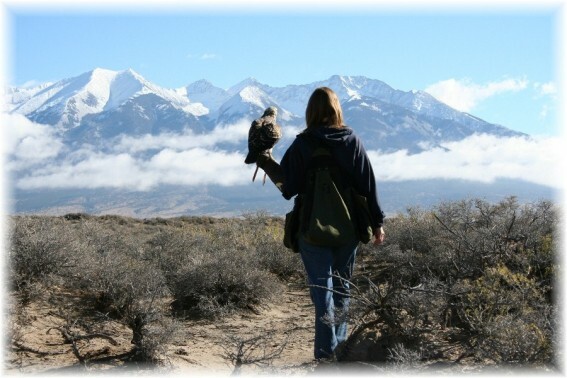 Our program explores the history as well as the modern day practices of falconry and introduces the Colorado birds used in the sport. In addition, participants are given an opportunity to act out the different classes of falconry in the Middle Ages, and are able to see live birds commonly used in the sport. Students also see and learn about various tools and equipment used in the training and in creating the bond between humans and birds. 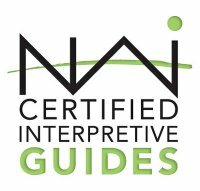 This program is a fascinating way to learn about raptors and their interaction with people throughout periods of history, such as early Egyptian times, the Heian dynasty in China, and during the Medieval period. This is a one hour program that explores the marvels and mysteries of migratory birds. It uses interactive demonstrations and is designed to meet state standards. The program tackles such questions as “why do birds migrate?” and “how do they know when to leave and where to go?” The answers may surprise many! It focuses on New World migrants – many of whom may travel long distances (from the Arctic North to Antarctica) and features live birds. The program ends with a group discussion of the problems and hazards, both natural and man-made, that migratory birds must face. It emphasizes what we as humans can do to help them on their journeys by eliminating or lessening some of the dangers and obstacles they encounter. Raptors of the Rockies is a one hour program that concentrates on the birds of prey found in the Rocky Mountain region, paying special attention to those birds found in Colorado. In this interactive program, we explore the tools and adaptations that different raptors use to be successful in the wild. 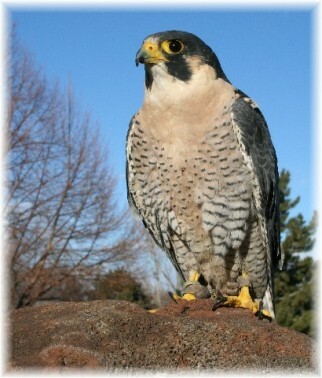 The program features live birds – a hawk, an owl, and a falcon – all species that are found here in Colorado. Depending on the season, a flying demonstration may be included. This program concludes with a discussion on the important roles of these raptors in the environment. This one hour program takes the audience on an eye opening and fascinating journey as it explores the mysterious lives of the various species of owls found here in Colorado, from the very small to the quite large. Students learn about which owls make Colorado their permanent home and about those that are part time visitors. Throughout the program, students and audience members broaden their understanding of these seclusive yet remarkably successful raptors by participating in activities that focus on the awesome adaptations of owls, such as directional hearing, superior night vision, and silent flight. Live owls are presented during the program, making the experience real, fun, and enlightening. Additional $2.00 per mile charge (one direction only) applies to programs presented outside 20 mile range. Additional fees may apply for overnight stays and for remote locations (i.e., mountain areas). Contact us for additional questions regarding pricing & scheduling. Note: Map depicts an approximate 30 mile radius; actual mileage is determined using MapQuest. Questions or ready to schedule a program? Visit our Contact Us page. Wild Wings Education; 2018. All Rights Reserved.